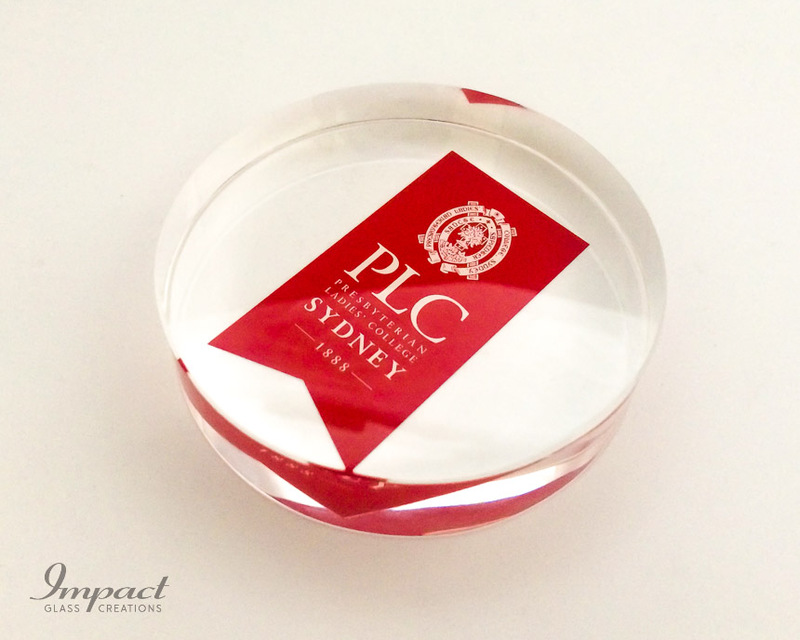 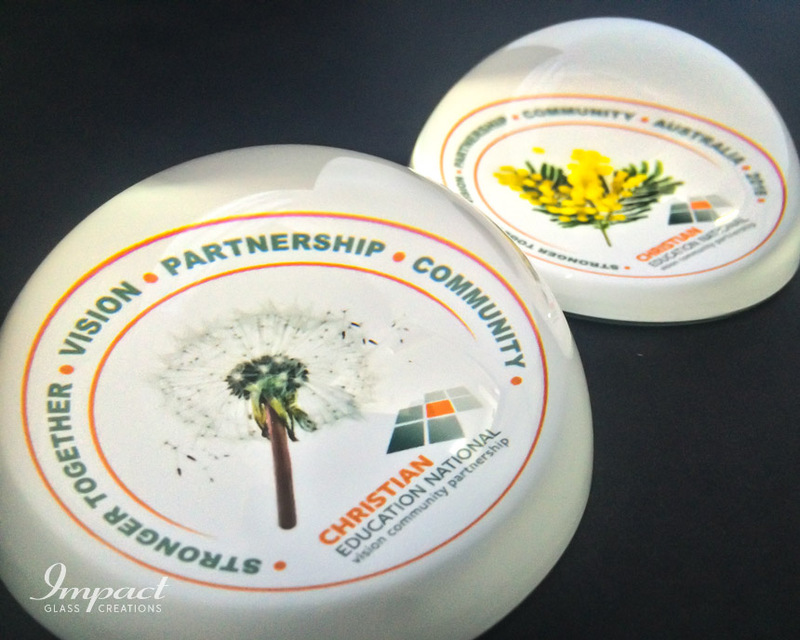 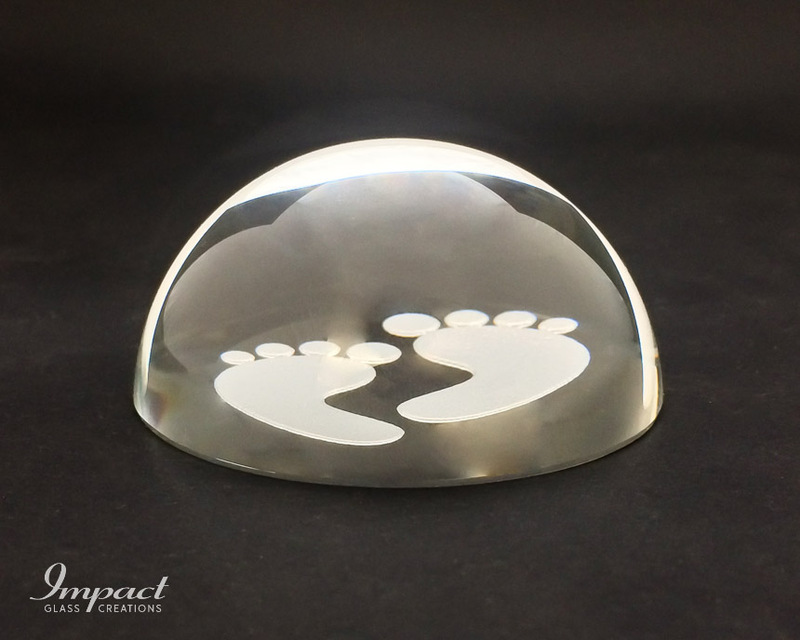 The artwork on this flat disc paperweight was digitally printed on the base so that area around it could be left clear. 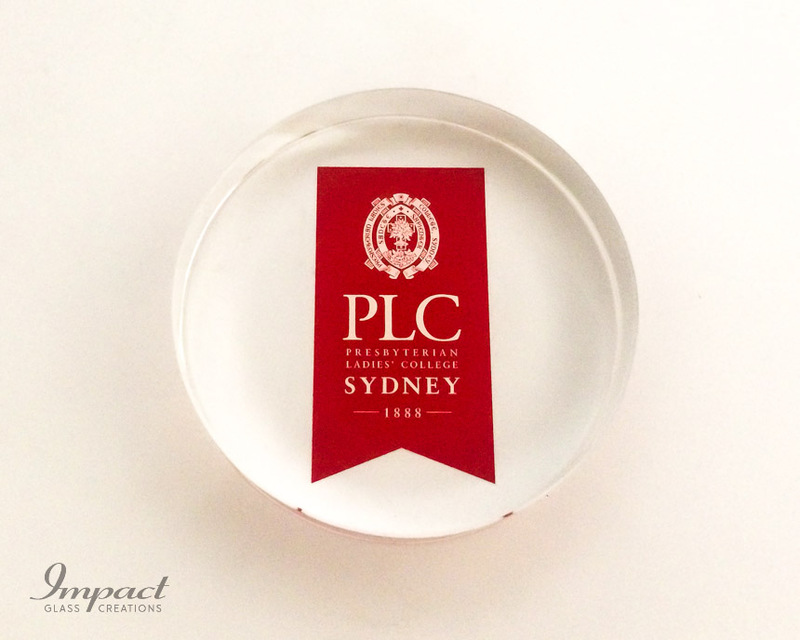 This really helps to highlight the red ribbon shape of the logo within the disc. 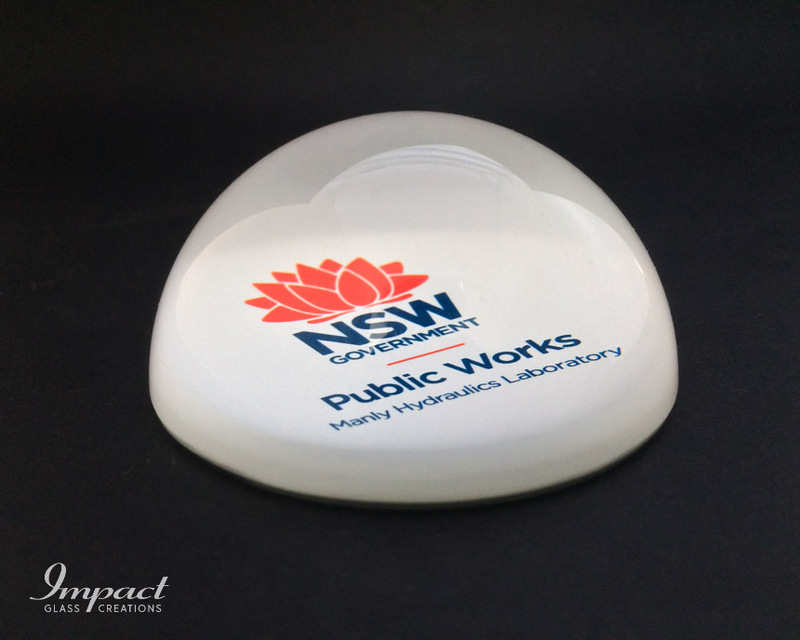 The printed image is sharp and detailed allowing the finer text to be clearly seen. 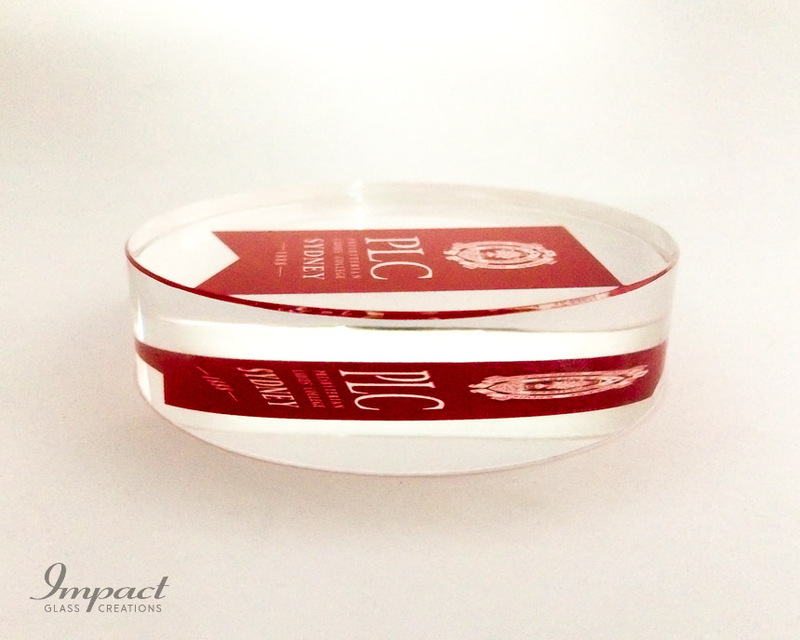 The disc was cut and made to measure 20mm in thickness.